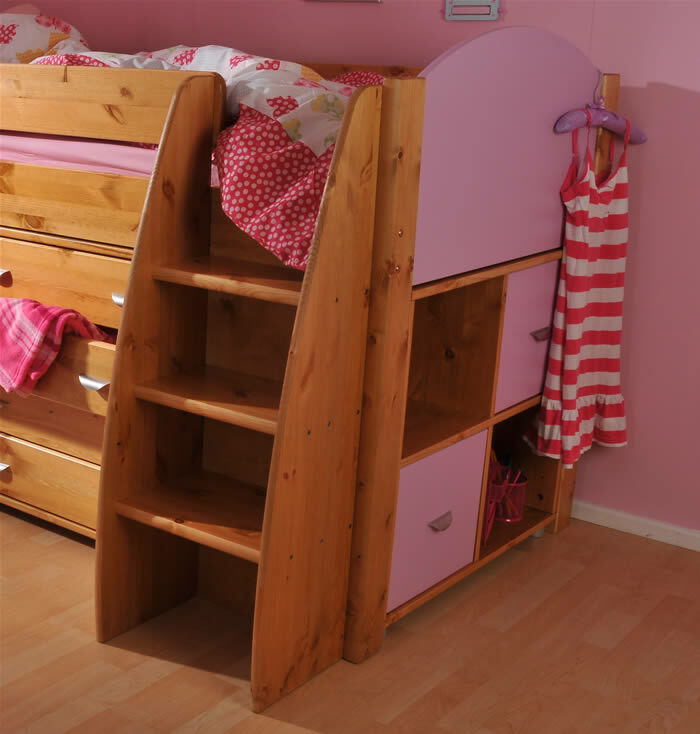 The Stompa Rondo 3 mid sleeper children's cabin bed is available in a choice of colours perfect for your little prince or princess. 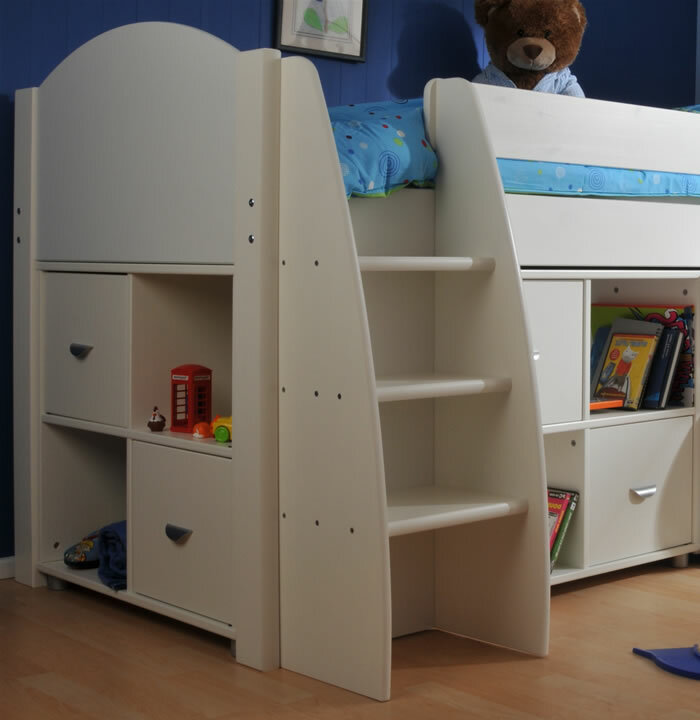 The solid wood mid sleeper frame, ladders and four drawer chest all come in a modern white finish. 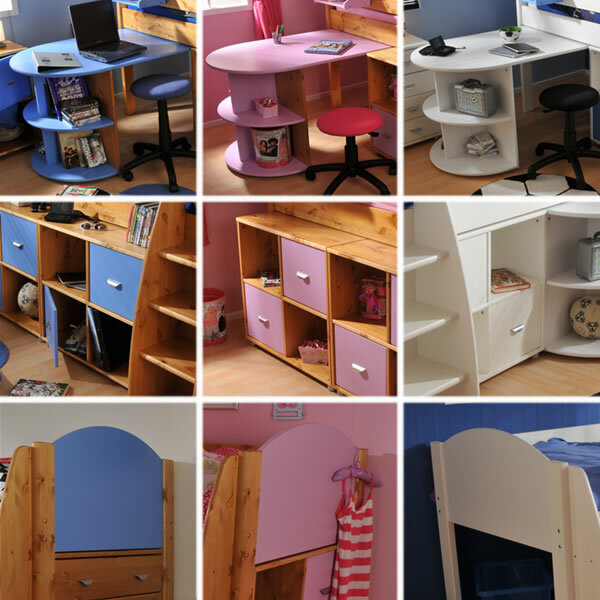 The MDF gable ends and cube doors are available in a choice of three fantastic colours including blue, lilac and white. 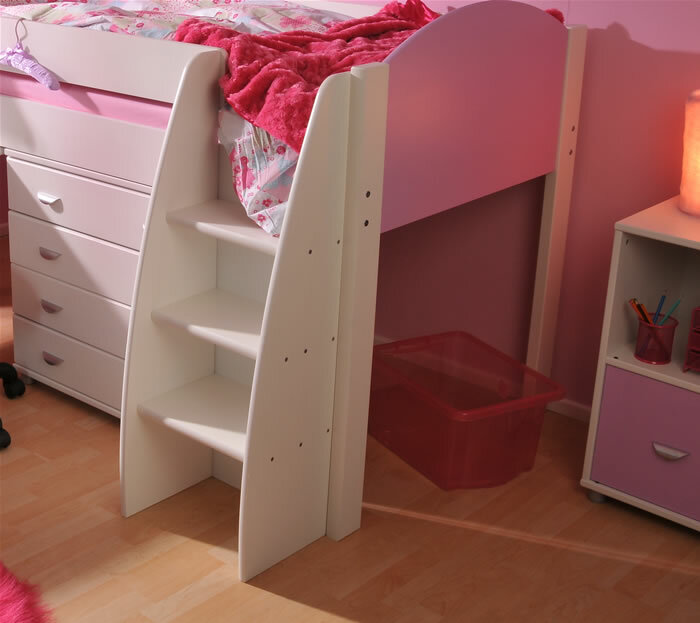 The sturdy deep step ladders can be assembled to the left or right sides of the bed to suit the bedroom layout. 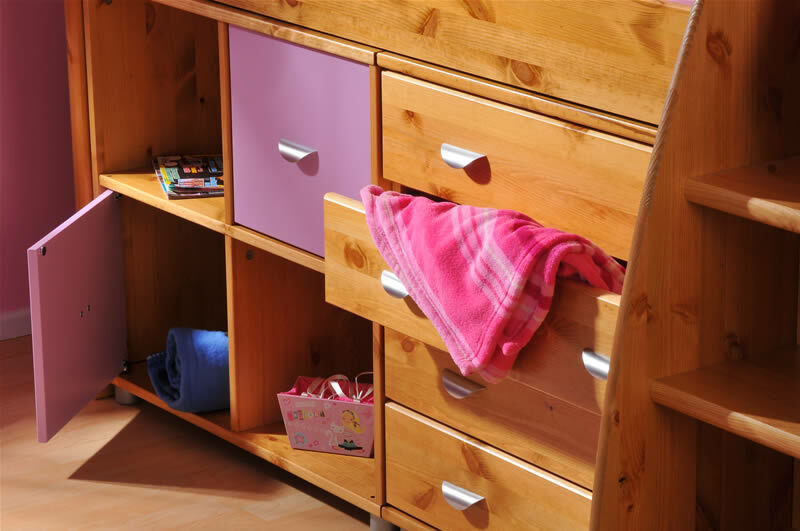 For storage the Rondo 3 comprises of a spacious four drawer chest and 2 four cube units each with two cupboard doors and two open shelves.